Every time I am in Pai I stay at a different place, I haven’t yet really found somewhere i really like but the Pai Lanna Resort wasn’t at all bad for its price. This was Robin’s recommendation and we grabbed 4 Bungalows, we ended up paying 400 Baht/night after a bit of mild bargaining,I guess rates vary a lot depending on the season and this rate was a low season price and a fare bit cheaper than what is advertised on their website. 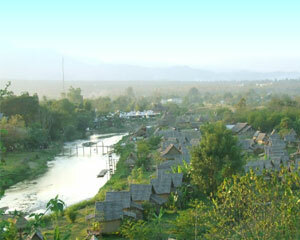 The resort is about 5 minutes walk out of town set on a little hill overlooking the Pai River and Pai town. 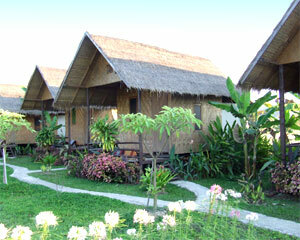 The owners and staff were friendly, the little wooden bungalows were in good order and the grounds were immaculately kept. I will probable give this another go next time I am in town.